From the best-selling video game and arcade fighter comes this brand new action figure collection based on the long awaited 4th game in the Street Fighter series! This first series of action figures includes Ryu, Ken, and Crimson Viper. All three figures are highly detailed and highly articulated to allow for maximum posing and display. 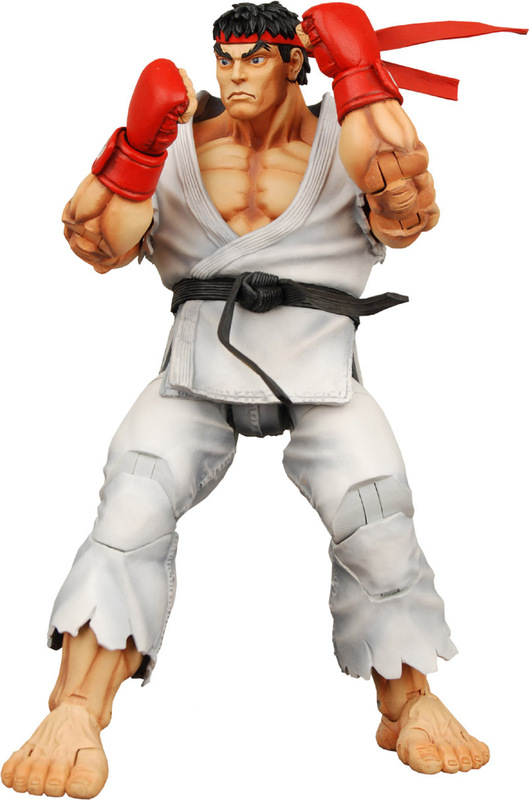 No release date is given for NECA’s Street Fighter IV figures, but officially Capcom has announced that Street Fighter IV will be coming out for the Xbox 360 and Playstation 3 on February 17, 2009 in North America (February 20 in Europe). It’s 1991 all over again and in a good way. Update: Crimson Viper image added thanks to Toysntoys. 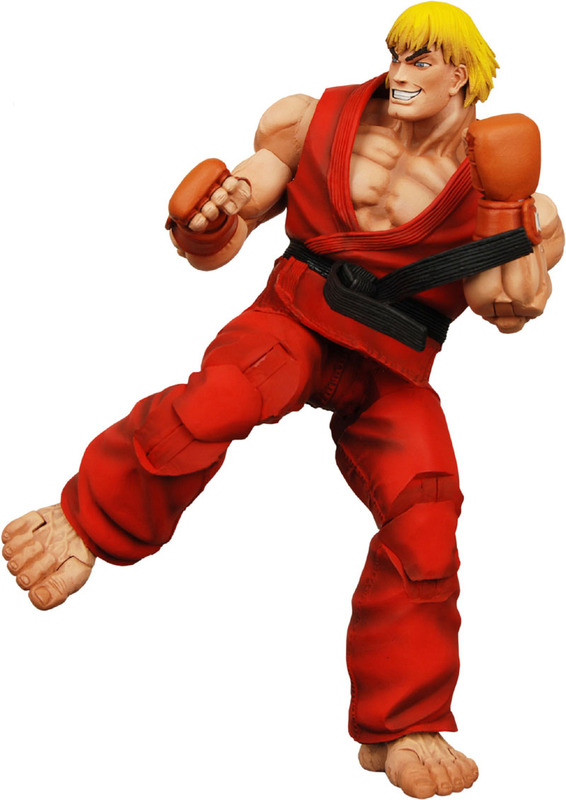 Update: Figures are said to be in the 7″ scale, so they won’t quite fit in with SOTA’s Street Fighter line. A 3″ pvc line is also rumored to be on the way.